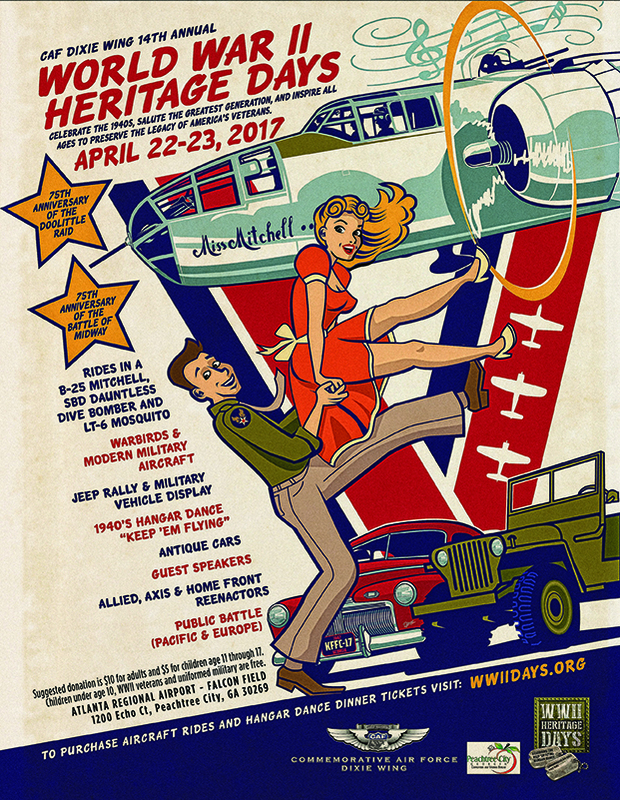 World War II phrases such as “Remember Pearl Harbor!”, Rosie the Riveter, Victory Gardens and Big Band will come to life when the Commemorative Air Force (CAF) Dixie Wing hosts the 14th Annual WWII Heritage Days April 22-23, 2017. 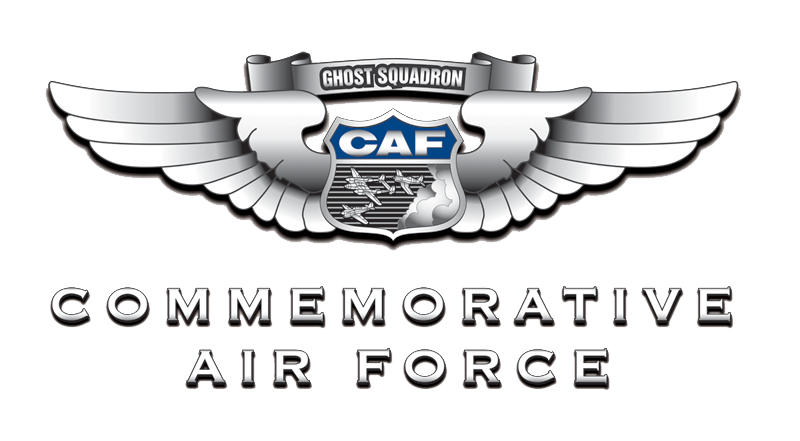 The event will be held at the CAF Dixie Wing Warbird Museum, Atlanta Regional Airport-Falcon Field, and will pay tribute to The Greatest Generation, the men and women who won the Second World War. Fans of the 1940s can join the festivities by portraying famous personalities associated with the era, such Humphrey Bogart, Spencer Tracy, Katherine Hepburn, Marlene Dietrich, Winston Churchill, Eleanor Roosevelt, Joe DiMaggio or Ted Williams. Friends, families and civic organizations are invited to build personas and displays that recreate the Home Front experience. Over the last thirteen years WWII Heritage Days has emerged as the largest annual World War II and 1940s theme event in Georgia. It is a can’t miss experience for anyone who enjoys nostalgia, big band music, swing dance, historic aircraft and military vehicles, antique cars and vintage fashion. The program features reenactors portraying Axis and Allied troops, sailors, airmen and Women Army Service Pilots (WASP). For music, The Freedom Belles will perform Andrews Sisters classics throughout the weekend while wearing fashions typical of the period. “WWII Heritage Days has traditionally focused on the aviation and military aspects of the Second World War” said Scott Paul, WWII Heritage Days Co-Chair. “However, we believe the public can also connect with the era and family history by participating in the experience.” Interested individuals and groups can register on the event website. Suggested donations for WWII Heritage Days are $10 for adults 17 and older and $5 for children 11-17. Children 10 and under and World War II veterans are admitted free. 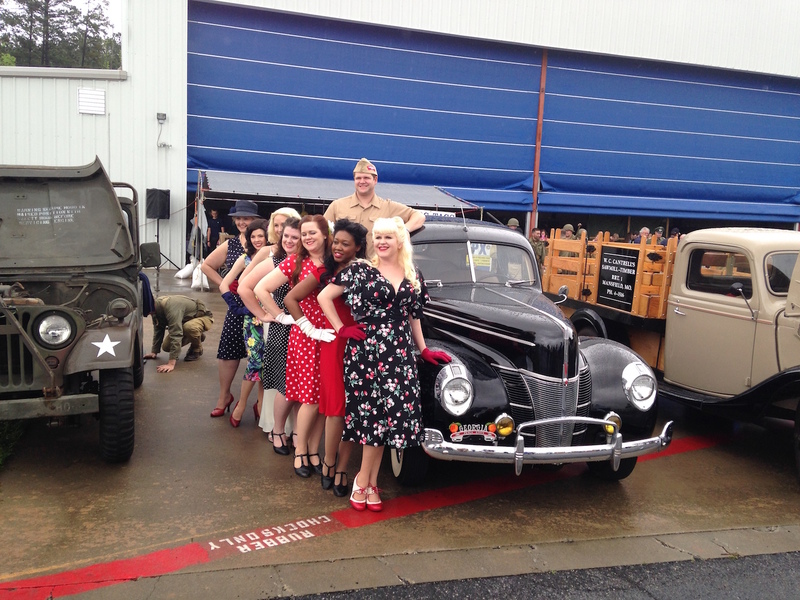 WWII Heritage Days will take place rain or shine. Please no pets. Tickets for “Keep ‘em Flying” are $55 before April 17th, $65 after. Reserved tables and group discounts are available. All ticket sales are final. For more information, please visit www.wwiidays.org or call 678-364-1110.